I would like to express my thanks to you for the excellent First Aid training course you provided on 17th October 2016. I had previously attended a first aid course many years ago, and could remember very little of what was taught, though I can recall enjoying very little of it! Your course was a complete contrast to that which I attended previously. The combination of your presentation and the practical exercises made the session engaging, informative and very enjoyable. It is a testament to you that even at the end of the day, whilst you were out of the room, all of the participants were commenting upon not only how much they had learned on the course but also how much they had enjoyed it. I will certainly be coming back to you for my refresher course in a couple of years, and will be recommending your courses to others. I would like to take this opportunity to thank you for the recent First Aid training course you put on for myself and my employees. I have done many of these courses in the past years, and all have been very ?? and boring, considering the purpose of them. Not only did you make it enjoyable, but all of my staff left feeling confident that they would be able to carry out the necessary first aid to a patient if the event ever arrived. You were professional, informative and very patient. I also did like being a pretend patient even though you told me off for not screaming in pain enough! I would not hesitate to refer you to anyone that is seeking one of your services. May I take this opportunity to thank you for the course I attended on the 25th January 2017. The course has made me feel much more enlightened as to how I should behave in an emergency and I have now been given the confidence to know what should be done. The whole day was an enjoyable experience and the instructions were professionally given and easy to follow. I would happily recommend any course you were providing to anybody and look forward to attending more myself. I am just writing to thank you for the excellent course we attended last week. I signed up Jenny from our office and myself to attend the First Aid at work course. I just wanted to say how much we both enjoyed your course. Your teaching methods are excellent with a good mixture of classrooom based, video tutorials, group discussions and practical work. Due to your relaxed personality, we both felt comfortable asking questions and this helped us to develop. As well as having a nationally recognised qualification your course has given us so much more. 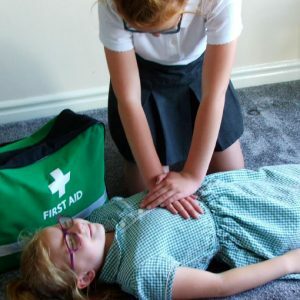 We now have the skills and confidence to provide basic levels of first aid should the need ever arise. This is a great life skill rather than a tick box exercise and I would urge anyone to attend one of your courses for their own personal development. The skills we now have will last us a lifetime, although I will be looking to attend the refresher courses as and when required! I would have no hesitation in recommending your courses to friends, family or business associates and shall be sure to be in touch as we need further training. I would like to thank you for the great first aid course that you delivered recently. 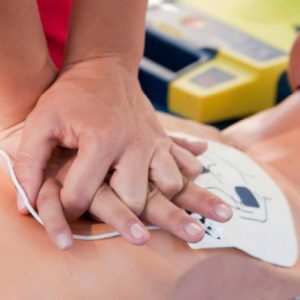 As a health professional and the holder of a duke of Edinburgh's award, I have been trained by numerous people of what to do in an emergency and how to look after a casualty, but aside from a 1 year CPR certificate, I had never had any 'Official' training. How wonderful it was to come along to your course and be reassured that I did know what I was doing! There was plenty of practical experience, great for helping me to remember what to do. The best part of the day was by far the amazing scenario session at the end. The fake blood came out, everyone turned into brilliant footballer impressionists and we got to test both our skills and our ability to work under pressure. I have been telling everyone ever since! I would fully endorse anyone of any level to take one of your courses, as you tailor the course according to their level. 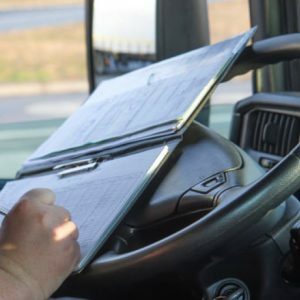 A&E Training offers you training where our trainers are passionate that your staff leave confident that they can carry out the training "if" and "when" required with a high level of competence.